The 20-year-old Finn has won almost every StarCraft premiere tournament there is. Katowice is the only one that eludes him. A Blizzard PR rep warns me that Joona "Serral" Sotala is in a bad mood. I'm not necessarily surprised; it's a chilly, dispiriting evening in Katowice, and despite running roughshod through his group in the Starcraft 2 tournament, Serral dropped his final set to Lee "Innovation" Shin Hyung, the player in last place. It was a silly set—Serral didn't play well, Innovation flexed a form that was missing his whole weekend, and it changed absolutely nothing. Serral was still advancing as the first place winner of his group, and Lee was headed home. Serral has had one the most unprecedented streaks of dominance in StarCraft history, and arguably esports as a whole. It was not long ago that the roles were reversed. In 2016 and 2017 Serral, who was even younger than his current 20 years, was just one of many promising names grinding through the pro StarCraft circuit. He came close to immortality a couple of times—in 2017 he made it to the group stages for the Blizzcon StarCraft Global Finals—but fell short of the mainstage tournament. StarCraft might not be the esport it was in the past, but the titans of this scene have a way of holding onto the throne long after the typical esports retirement age. In that sense, Serral is still getting used to playing with a target on his back. "It's a bit too much for my liking to be honest," he laughs. "Some want me to lose very hard. It doesn't affect me too much, I just want to play my own game. But people do keep mentioning when they beat me. It's not great times. I need to keep my win streak going so people stop mentioning it." Let me recap Serral's 2018 for you for some perspective. First place at every single StarCraft World Championship Tour stop in Austin, Valencia, and Montreal. First place at GSL vs. The World, where Serral came out on top of four South Korean players. And, of course, first place at the Blizzcon Global Finals. It is one the most unprecedented streaks of dominance in StarCraft history, and arguably esports as a whole. Born and raised in Finland, Serral was the first non-Korean player to ever win the WCS, which was formalized as a tournament back in 2012. For at least a little while, he ruled over competitive StarCraft. The tropy. Photo by Adela Sznajder. Serral left one championship unconsummated. Here at Katowice last year he finished third, before kicking off that unprecedented run. A victory in 2019 would officially complete the set; every major StarCraft tournament won, every major trophy on the shelf. He could quit StarCraft the next day and nobody could question his dynasty. "Obviously I want to win this event super hard, because I feel like it's the second biggest event after Blizzcon," he quips. "It'll be the last one I need." I ask Serral some more questions about how he perceives his legacy, which is a difficult thing to pose to any 20-year old, especially after a loss. If the future is a fixation for him, he doesn't tip his hand. Sometimes, says Serral, he considers how he stacks up against the all-time greats across StarCraft's prodigious history, but he refuses to get too high or too low. "I just got to live in the moment," he reiterates. "Play my game." The only thing that's changed since his early career is a greater sense of confidence, and a higher set of expectations. Once you play like a world champion, he explains, you're stuck with unimpeachable proof that there's nothing stopping you from playing like a world champion again. Around this moment I realize that I'm talking to someone who was born nine days before the first StarCraft hit PCs, and was the tender age of 2 when Brood War came out. It was striking to consider how esports is truly multi-generational now. I felt like one of the geezers who look down on LeBron fans simply because they have the capacity to remember watching Kareem Abdul-Jabbar or Wilt Chamberlain play basketball. Eventually, a new generation takes over the game. That's the way sports, in all shapes and sizes, inevitably work. 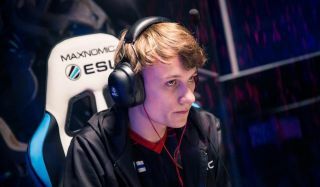 Unfortunately for Serral, though, glory—and his StarCraft version of the EGOT—will have to wait at least another year. Serral was seeded against Eo "SoO" Yoon Soo, a South Korean pro six years his senior, in what he said might be his last appearance at Katowice. In StarCraft circles, SoO is known for carrying a curse. His outstanding career has netted him more than $500,000 in winnings, and yet he's finished second in 10, that's right, 10 premiere tournaments. A quarterfinals matchup with Serral was a bad draw. The Finn might have the only Zerg in the world that's better than his. Game one was ugly. I don't know StarCraft nearly well enough to dig into the 2019 meta, but Serral has a way of being all over the map, all of the time. Constant prods, baits, counter-attacks. In a flat six minutes, SoO had conceded. A decisive start. SoO, perhaps gripped by an otherworldly desire to not come in second again, ripped off four matches in a row. But then, slowly, the tide began to turn. A marathon game three had both players draining their armies and resources to the bitter end, with Serral showcasing his trademark ability to find just enough airspace to stay alive when his back is against the wall. But it didn't matter. SoO kept his head above water for longer. In match four, the writing was on the wall. One quick, incisive ambush into Serral's base and it was over. SoO had won. The kid let his disappointment show and packed up his kit with the first taste of what it felt like to lose as a reigning world champion. The win streak was over, and another player had earned some temporary bragging rights. SoO made it to the championship round and was immediately cut down two games to zero in a match against another Korean veteran, Stats. The finale would've been a rematch of the Blizzcon Championship if Serral had made it through the bracket—he defeated Stats 4-2 back in November. Starcraft 2 veteran SoO. Photo by Bart Oerbekke. It looked like the curse was going to hold. But SoO, perhaps gripped by an otherworldly desire to not come in second again, ripped off four matches in a row. The best-of-seven was his, the burden was broken, the ecstasy was palpable. I'll remember his exit interview for a long time. "I thought god, maybe this is happening again, maybe this is the limit of the skill that I have. Maybe this is it for me," SoO said through a translator, while he stood next to her wiping away some hard-earned tears. "But I thought to myself, let me show everything that I have, I just wanted to do my absolute hardest. I think that was able why I was able to channel all of the energy that I had." You can never underestimate hunger in esports. That's the lesson I took away from Katowice, and it's certainly the lesson that Serral took home to Finland, on the other side of the climb once again. "SoO played well and I made more mistakes than I’m supposed to," he says, a week after the tournament. "Losing my tournament streak doesn’t bother me too much. In general I think it’s good to lose sometimes so you don’t start feeling too greedy. It keeps the motivation to practice high."